April 15th is right around the corner, and most Americans are busy calculating our taxes for 2018. 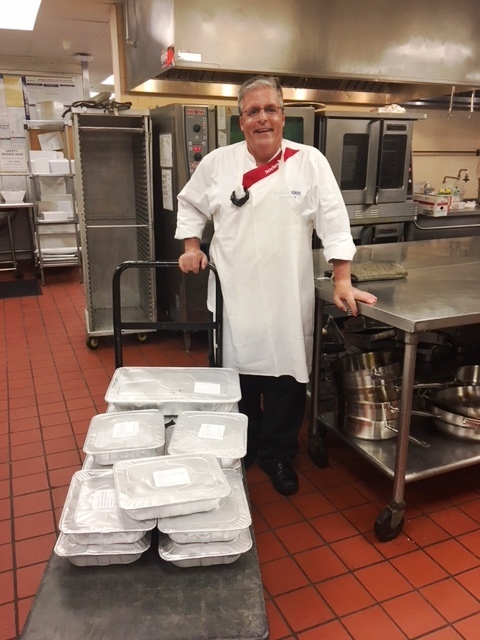 Community Food Rescue (CFR) members — whether you are a food donor business, non-profit recipient organization, or volunteer food runner — may benefit from your food recovery participation. Our matching software, ChowMatch, makes calculating your tax benefits a snap. While we can not advise on specific tax situations, this post will show you how you can get a report that tallies your CFR participation and may be useful to your tax situation. Please consult your tax advisor for more details and proper use of this information. Food donor businesses may be eligible to receive an enhanced tax deduction. In 1976, Congress enacted Internal Revenue Code Section 170e3, an incentive that allows businesses to take an extra tax deduction for wholesome food inventory donated to qualified nonprofit organizations that serve people experiencing poverty and hunger. These businesses can deduct the production costs of the donated food and, in addition, half the difference between the cost and the full fair market value of the food donated. The America Gives More Act of 2015 includes a permanent tax deduction for all food donor businesses. Click HERE for a simple-to-follow guide with examples of how to apply the enhanced tax deduction. Maryland farmers have even a sweeter incentive to donate their surplus food. Under the 2017 Farm Food Donation Pilot Program, five Maryland counties, including Montgomery County, offer a tax credit of $5,000 to $10,000 per year through 2019. Manna Food Center and Community Food Rescue are Certified Tax Credit Administrators. Farmers donate to us, then receive documentation that they can use to claim the credit on their taxes. Maryland State Delegate Ebersole has introduced HB403 to expand the tax credit to all Maryland farmers and extend the credit through 2022. For more information, Click HERE. 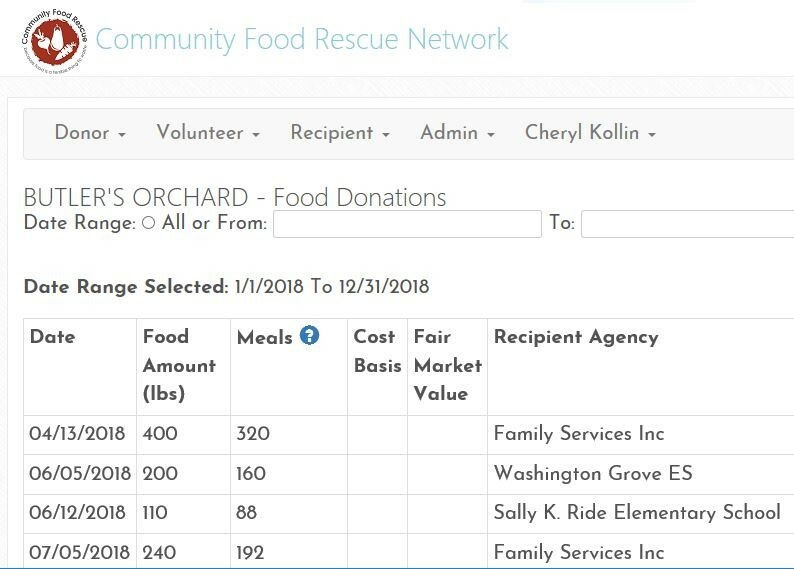 Recipient organizations can make use of the ChowMatch data to let their funders know how much food they receive as in-kind donations, and to include in grant proposals. Volunteers can get information on how many miles they drove during food runs. CFR’s ChowMatch software can quickly provide numerical information on member’s participation. To get the information, CFR donor businesses and food recipient organizations can log into their ChowMatch accounts. Click on the down arrow and select your account. Click on the graph icon beside your account. The report lists each food donation, date, number of lbs., number of meal equivalents and recipient organization. Reports can be filtered by year. Volunteer reports list each food run, locations, and number of miles driven roundtrip starting from your home address. Volunteers log in to their account. Click on My Past Food Runs. Reports can be filtered by year. Tax incentives sweeten the opportunity to donate surplus food and redistribute it to our neighbors who are food insecure. It’s easy to get the information you need to help out at tax time.